This instruction sheet will explain how to get a google email account for your domain, so once you have created a personal domain, you can receive emails addressed to your domain. 1. You firstly need to register a domain name - we recommend Easily Limited or GoDaddy.com to register your domain. 2. 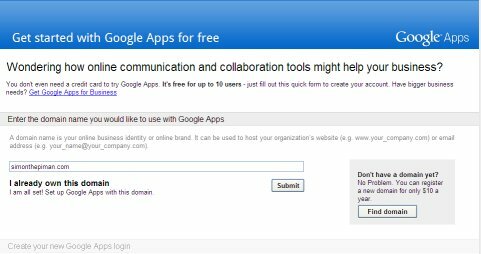 Once you have your domain name then go to Get started with Google Apps for and register your domain with google. Just follow all the instructions and I suggest when you come to the "Verify my Details" you add a TXT entry to your domain using the control panel from your Domain Hosting company, in this way you can get the email address without having to host a website anywhere to begin with. 3. 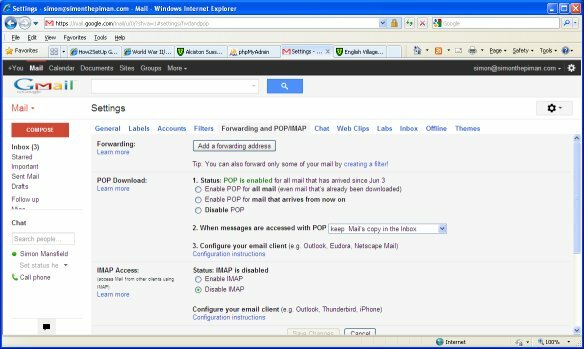 To enable your emails to be accessed from a remote client such as Microsoft Outlook etc you need to enable pop3 or imap in your google account. This is very simple - just log into the google email you have just registered. 4. Navigate to www.google.com and you may be logged in - if so you will see your email address along the top line, or will see a [Sign In] button on the google page. 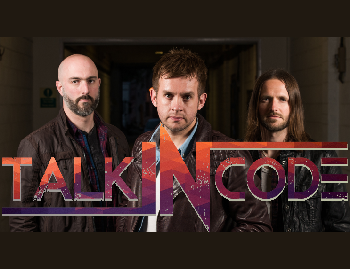 If you are not logged then log in. Search along the top bar for [Mail] if you can't find it try [More] then click on [Mail] to open your emails . 5. 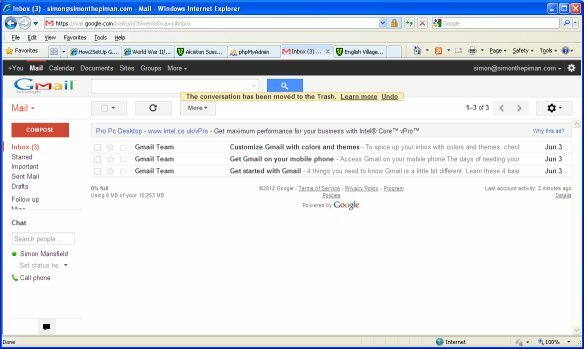 Once you are logged into GMail then look along the top bar and click on the Cog symbol then choose [Mail Settings] then look for the [Forwarding and POP/IMAP] tab and select it. 5. Finally Enable access to either pop or imap so your email client can connect to google for you to pick up your emails. Please NOTE:- The google email account has record limits so is fine for a small number of emails but you may need to upgrade to the google Business Email service if you send/receive a high number of emails.